Review: Late Last Night by Lilian Darcy + Giveaway – Escape Reality, Read Fiction! It’s May 1996 and Marietta High School English teacher Kate MacCreadie is almost at the end of her rope, torn between the demands of her work and her heavy involvement in helping her younger brother Rob and his wife Melinda take care of their five young children on the MacCreadie family ranch. When Marietta’s fine-looking new sheriff, Harrison Pearce, pulls Kate over for her third traffic violation in as many months, they both know it’s a sign that something has to give. Kate finds it almost a relief to be told by this calm, strong man to get her life in order, and then she just keeps on seeing him – at school after there’s been a suspicious break-in, on the evening of the prom when he’s off duty and driving his nephew and friends to the event in one of his brother’s gorgeous vintage cars. Late that night, after prom is over, a tragedy at River Bend Park brings Kate and Harrison together yet again, and this time, in the highly charged atmosphere, Kate discovers that she never wants to let him go. But with his divorce still fresh, is Harrison ready for someone new? 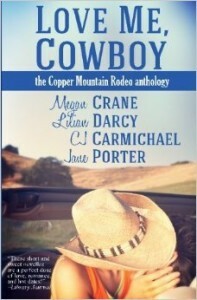 Late Last Night is the short romantic tale that links the more western-themed Copper Mountain Rodeo series to the author’s new River Bend series. Based on this intro, the River Bend series starts out with more of a small-town romance flavor. Both series take place in and around Marietta, Montana, which always seems like a town that would be terrific to visit. And while it is not necessary to have read the Copper Mountain Rodeo books to enjoy Late Last Night, the series is great if you enjoy western-themed romance. This story takes place in 1996, so it’s a bit of a trip back in time for some of the characters that we’ve met in the other series. Kate MacCreadie is trying to both help her brother take care of his five kids and keep up her full-time job at Marietta High School. It’s not that her brother Rob isn’t willing or able to take care of his kids, or that there isn’t a Mrs. MacCreadie, because he is, and there is. But Rob is running the family ranch, and Melinda MacCreadie is something beyond scatterbrained. 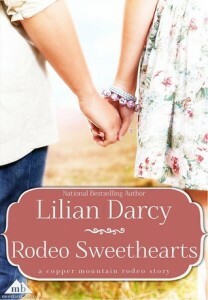 (Their complete story is revealed in Rodeo Sweethearts). But in 1996, Kate doesn’t know why Melinda isn’t any help, all Kate knows is that as long as she continues to be nearly a full-time caregiver at her brother’s house AND have a full-time job, she’s going to either start hating someone, or she’s going to kill somebody. Literally kill somebody, because the new sheriff keeps having to pull her over for a series of driving offenses. Kate speeds. And she misses stop signs. And her taillight is out. Mostly she just drives too fast because she’s in too much of a hurry and not paying attention. She also likes running into Sheriff Harrison Pierce, she just wishes it wasn’t quite so embarrassing for her when it keeps happening in his line of duty. Kate isn’t aware that Harrison keeps pulling her over because he isn’t quite in a position to ask her out. Not until his divorce is final. Harrison tells Kate that she needs to get her life in order before someone dies as a result of her racing thoughts. When he figures out that he’s giving Kate advice he needs to take himself, the steps they each take to move forward with their lives lead them straight to each other. Escape Rating B+: Late Last Night has a lot going for it. The love story has just the right amount of sexual tension, and it makes sense that the characters are cautious in the circumstances. Unlike a lot of very short novellas, this one is just the right length, it starts at a turning point for Kate, and comes to an ending that feels right for the characters without feeling rushed. Finally, although this story is a setup for the River Bend series, the need to get things setup doesn’t overwhelm the story that needs to be told in this book. While it isn’t necessary to have read the entire Copper Mountain Rodeo series (Tempt Me, Cowboy, Marry Me, Cowboy, Promise Me, Cowboy and Take Me, Cowboy), if you like western romances you’ll enjoy them a lot. I definitely did. But reading Rodeo Sweethearts absolutely helps flesh out Kate’s background, and it’s short, sweet and free. In Late Last Night, we find out more about how Kate feels than we do about Harrison, at least partly because she’s in the bigger pickle at the beginning. She wants to help her brother, but she needs to have a life. And Rob desperately needs the help, so Kate leaving is going to cause a lot of disruption. Harrison, on the other hand, his divorce has been coming for a long time. And he recognizes his part in what went wrong. It feels like he’s closer to who he needs to be from the beginning, but it takes quite a leap of faith for him to put his heart on the line. Again. 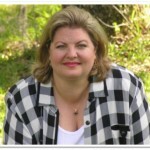 The ending of the story is tragic, suspenseful and sets up the River Bend series. There’s something seriously wrong in Marietta, and I want to see if Harrison is part of solving it. Lilian and Tule Publishing are giving away an ebook copy of Late Last Night to one lucky winner! To enter the giveaway, just fill out the rafflecopter. This giveaway is open to all! I can accept it in books but not in real life 🙂 Thanks for sharing! YES, I DO. THANKS FOR THE GIVEAWAY! 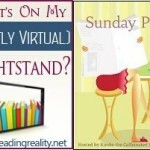 Pingback: The Sunday Post AKA What’s On My (Mostly Virtual) Nightstand 1-26-14 | Escape Reality, Read Fiction! I don’t believe in love at first sight. I think it’s more infatuation. Moreso in books than in real life, yes.